The Portfolio Committee meeting with the Department of Water and Sanitation had been preceded by an engagement the previous day with the Special Investigating Unit (SIU) as well as a presentation by National Treasury on financial and budgetary matters relating to the Department. The Minister and Deputy Minister were in attendance. The topics for discussion at the meeting were unplanned/unbudgeted projects, unauthorised expenditure, budget over-runs from projects, and the overdraft in the Department of Water and Sanitation. Committee Members were unable to raise all the questions that they had as the officials, largely, did not respond to the questions. There was some debate in the Committee as to whether officials were unable to answer questions because they had not prepared, their levels of competency, or whether the strategy was simply to refuse to answer questions. Discussions began with the list of ten unbudgeted projects in the executive summary provided by the Department. It emerged that there were, in fact, 40 unbudgeted projects but the Department had bundled several projects in one. The total value of the unbudgeted projects was given as R1.3 billion but there was some confusion around the amount unbudgeted for the War on Leaks project. The War on Leaks was initially funded from the Water Trading Entity account but issues were raised around the placement of the project and it was moved to the main account of the Department. War on Leaks was a training programme over three years. The intention was to train 15 000 young people as either plumbers or water agents. Water agents would check for leaking taps in the community and advocate good water usage. The plan did not indicate how many would be funded to become qualified plumbers and how many would get basic skills to become water agents. The intention was to allow applicants to determine which course they wanted to do. Although the cost of tuition would be vastly different, as were the stipends paid, officials from the Department were unable to explain how they had budgeted for those variables. The first intake of 3 000 learners had been in 2015, the second intake of 7 457 learners was in June/July 2016, and the third intake had been cancelled. To date, the Department had spent R2.8 billion on the programme. The projected budget was R3.2 billion. The Committee required proof that the first intake of students had attained the qualifications. An examination of the amounts budgeted for in the project included R1 million for site buildings, fittings and furniture. Venue hire had been budgeted at R10 million. Promotional items, marketing and branding, had been budgeted at R3 million and laptops at R18 000 per student, for those who were studying plumbing. Members asked why furnishings had to be provided when learners had been accommodated in well-established Technical and Vocational Education and Training institutions. A Member asked if someone had been cooking the books. Officials accepted that the War on Leaks project had not been budgeted for and was irregular, but the reason given was that it had been a ministerial directive. Committee Members established that the genesis of the idea for the project was rooted in a Water Research Commission project which had estimated that leakages in municipal water systems accounted for either R7 billion or R9 billion per annum. The idea of the War on Leaks project had been put forward for inclusion in the State of the Nation Address by the President in 2015 and then, based on its inclusion in the State of the Nation Address, a memorandum had been sent to the Minister of Water and Sanitation requesting her to sign a directive for the implementation of the project. In the light of the nearly R3 billion that had been spent on a solution to the billions lost as a result of the leaking systems, Members asked how much water and money had been saved as a result of the project. Was the Department a complete and utter joke? It had started with a R9 billion loss per annum and had just added R3 billion to the loss. Budgeting for the project was another concern for Members. It had been too late to include the project in the budget process so the Department had paid for the project from revenue paid into the Water Trading Account. Members were angry because the revenue in the Water Trading Account was intended for the maintenance of water systems for the citizens of South Africa. Members claimed that by using the Water Trading Entity account and the Trans-Caledon account, the Department had rendered those entities insolvent, as was the Department of Water and Sanitation. In addition, Members discovered that the initial Water Trading Entity budget that had included the War on Leaks project had inflated its income by stating that it would collect R2.7 billion in arrears from various municipalities in 2015. Despite the fact that there was no prospect of collecting those debts, the Department had spent its funds according to the inflated budget. That had soon caused the account to be overdrawn in the amount of R454 million, an amount that had rapidly risen to R3 billion. The CFO had eventually been charged with illegally allowing a departmental account to go into overdraft. Members asked when the Department had realised that had a problem with an overdraft. When had the officials taken note of the red flags? What had been done to address the overdraft? Was management aware that, in terms of the Public Finance Management Act, it was illegal to go into overdraft or be overdrawn? Why had the Department finally written to National Treasury requesting funds when it was too late in the budget process? Why had the Department threatened social unrest if it were not given the additional funds? Was it a malicious letter attempting to shift the blame to National Treasury? A budget over-run project was the bucket eradication programme that had exhausted its budget but had had contractual obligations that had been paid as accruals of R130 million in 2017/18. It had not been budgeted for in 2017/18. Members also noted that the project had begun more than ten years earlier and had promised to eradicate the bucket system by the end of 2007. The Olifantspoort scheme and the Ebenezer scheme had been developed by the previous Minister because Polekwane could not develop without water. The former DG had approved a business plan which had costed the project at R2 billion and a directive was issued for a feasibility study and a preliminary design. The budget for that process was R40 million. The implementing agent had extended the scope of the project beyond the feasibility study and invoiced the Department for R143.9 million for Olifantspoort and R22.8 million for the Ebenezer project. The Department had paid the invoices. The two projects were never implemented. Members asked if they were expected to believe that the Department simply approved payment of an invoice for R120 million over the budgeted amount for work that had not been requested. Where did the money go? Who was the service provider? The final issue discussed was the Umzimvubu dam in the Eastern Cape. R124 million had been spent on planning and other pre-construction processes, which meant that there had been a budget over-run of over R700 000. After much discussion, it was established that the Department had set aside R40 million to begin with the advance work, such as constructing a road to the dam. The plan was to use the departmental in-house construction and engineering unit. The project was budgeted for R15.3 billion but the Department was still attempting to get those funds from National Treasury. Members asked how the Department could be starting a dam when they did not have money beyond the planning and start-up stage. Members found it hard to believe that the Department was again starting a project without money. Where would National Treasury get R15 billion when there was no money? The Minister assured the Committee he understood the frustration of the Members. He had requested oversight reports from Parliament and the state, but he had not received any to date. He had asked for the reports as he had been looking at the waste of money and wondered how it could have been allowed to continue for so many years. The Minister noted that building dams was the responsibility of the Department of Water and Sanitation but funds were wasted because the work was contracted out multiple times down the line. The service delivery model in respect of water and sanitation was also not very effective. The Minister stated that water was a constitutional right. The state had to provide water. The Umzimvubu dam had been planned in 1962 but Kaiser Mathanzima had taken the dam to Umtata. The Committee had to understand the suffering of Pondoland, an area which had supported the mines of South Africa by sending their men to work there. What was there to show for their dedication to the country? The Minister was determined to build the dam in Pondoland. He explained that included in the cost of the dam was a reticulation system of R7.6 billion. The Minister promised to give the Committee the plans for the Umzimvubu project the following week. But the dam had to be built. The Committee would be having further engagements with the Department in the following week. The Chairperson welcomed Minister Gugile Nkwinti and Deputy Minister Pamela Tshwete and the officials from the Department of Water and Sanitation (DWS), National Treasury officials, and officials from the Office of the Auditor-General. The Chairperson explained that at some stage the Members would have to adjourn when the House bell rang as they would like to exercise their right to vote on the matters under discussion in the House. The meeting would continue when Members returned. He recalled that the previous day, the Committee had engaged with a presentation by the Special Investigating Unit (SIU) as well as a presentation by National Treasury. Members had been provided with the information requested from National Treasury the previous evening. The procedure for the day would be that Ms T Chiloane (ANC) and Mr M Hlengwa (IFP) would be leading the questions during the meeting, after which other Members would pose their questions. The topics for discussion were unplanned/unbudgeted projects, unauthorised expenditure, budget over-runs from projects, and the overdraft. Ms Chiloane asked who was in attendance from DWS and who was not there so that Members knew to whom they should direct their questions. The Chairperson said that the invitation had gone to DWS and he supposed they would be able to answer the questions. If anyone was critical to the discussion, that person would be called on as the meeting progressed. He did not know who Ms Chiloane was looking for. The Chairperson stated that the Water Boards had not been invited; there were many of them. He thought that the Committee could find out who was there as they engaged, but the Committee would call them. But, if the Committee wished, he was happy for people to introduce themselves. Officials from DWS, National Treasury and the Office of the Auditor-General, as well as the Members, introduced themselves. The Chairperson commented that it had been a very long day for the Members, which the Minister would understand as he had been in the House, and that had impacted on the starting time, and even the venue, but he looked forward to a productive meeting. The meeting would focus on four areas that evening: unplanned/unbudgeted projects, unauthorised expenditure, budget over-runs from projects, and the overdraft. He asked Ms Chiloane to kickstart the process. Ms Chiloane began with the list of unbudgeted projects provided by the Department. There was a total of nine unbudgeted projects. She understood that the number of unbudgeted projects did not match the number supplied by the AGSA. She requested an explanation. Ms Deborah Mochotlhi, Acting DG with the Department of Water and Sanitation, informed Ms Chiloane that there was a total of 40 unfunded projects with a total value of R1.3 billion. Ms Chiloane asked the DG for the names of the projects because she was referring to the executive summary that listed 10 projects. Maybe some projects, like the War on Leaks (WoL), were actually two projects. Could the Acting DG explain and refer Members to the relevant page or annexure? The Acting DG was looking for it because she had the same one as Ms Chiloane. She saw the mistake and was trying to find where the 40 came from. The Chairperson explained that Ms Chiloane was referring to the documents provided by the Department. Members had the files provided by the Department. The documents indicated six projects with 10 transactions. But when asked, the Acting DG had said that there were 40 projects. The Acting DG said that she had a different spreadsheet before her. Ms Chiloane said that it had been in the report that they had worked with the previous day. The projects listed were not the same as those listed by the Auditor-General. It was possible that the Auditor-General had referred to samples. Had the Department given a true reflection? If the Department was honest, it could have given a list of the projects. It was the Acting DG’s report. The Acting DG thought she remembered how DWS had got to the 40. On the spreadsheet that DWS had worked on the previous day, it had lumped nine projects together, one in North West that had nine hot spots, then there was one intervention in the Vaal which had 26 projects. Then there was the WoL, and two in Polokwane and two in Limpopo. That was how it had changed from four to 40. Ms Chiloane confirmed the numbers. She referred to Auditor-General’s list of projects: the Giyani project, the Mopani project, Northern Nsikazi, emergency intervention on the Vaal, budget eradication programme, War on Leaks, Limpopo GLeWAP phase Tzaneen dam, Umzimvubu Water Project, raising of the Clanwilliam Dam and the Greater Mbizana Lower Thukela Taung/Naledi. Were those the ones the Acting DG was speaking about? 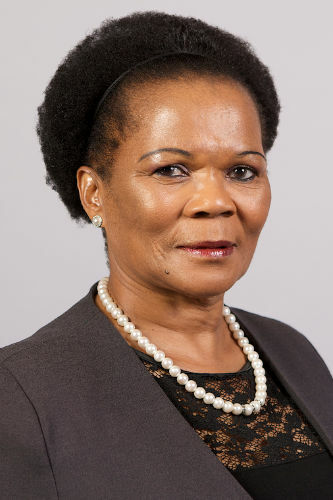 The Acting DG stated that she had: War on Leaks, 26 Vaal intervention projects, nine hotspots in North West, Olifantspoort, Polekwane, Polokwane Ebenezer, bucket eradication in Free State and Northern Cape that had one consulting fee for the two, and Mzimvubu Water Project. That was a total of 40.The ones that Ms Chiloane had read out were not unfunded. Clanwilliam was a Water Trading Entity (WTE) project. The CFO might have separated the main account projects from the WTE account. Ms Chiloane asked if the Department had had a strategic planning meeting. If it had, DWS management could have spoken about it. Why were the projects not budgeted for? The Acting DG replied that that the Department had a strategic planning meeting each year. She could not answer why some of the projects had not been budgeted for, but there were those, for example the hotspots, that came about during the course of the year and she supposed that was why they were called hotspots. The Vaal intervention was an emergency. From the documents that she had seen, there were issues raised by the media, including Carte Blanche, that gave rise to that intervention and so that might be why they were not in the Annual Performance Plan (APP). The Limpopo ones were as a result of the drought. However, she was not alone and there were other DDGs who could answer those questions, especially those within whose branches the projects were located. Ms N Mente-Nqweniso (EFF) called for a point of order. She said that the Acting DG did not know what she was doing. She had to answer project by project and those that she could not answer; she had to identify the DDG who could answer. She could not be vague and say, “someone will answer”. The Members adjourned briefly to the House to vote. The Chairperson stated on his return that Members would not have to return to the House again. Ms Chiloane asked about the War on Leaks (WoL) that was not an emergency but a directive. The Acting DG stated that WoL was initially funded from the WTE account but issues had been raised around the placement of the project and it was moved to the main account. She asked the Programme Manager and Acting DDG for Planning, Monitoring and Evaluation, Ms Ndileka Mohapi to respond. Ms Mohapi stated that the WoL started in 2015 and a directive written in mid-year initiated the intervention which was funded from WTE until 2016/17 when the Auditor-General and National Treasury had raised questions and stated that it could not be funded under the WTE account. When it was moved to the main account, the budget had already been finalised for the year and it had remained unfunded. It had been attended to later in the year, but that did not really address the issue as there had been no budget for it. Ms Chiloane noted that the WoL had had a major impact on the Department. WoL was one project that had created unauthorised expenditure. It was implemented in 2015/16 and continued in 2017/18, although there were no funds to support it. How did Ms Mohapi explain that to the Committee? Ms Mohapi explained that WoL was a training programme over three years. The first intake of 3 000 learners was in 2015, the second intake was in June/July 2016. If the project had been stopped there would be no results although money had been spent on training the learners so those learners had to be qualified as artisans as undertaken by the Department. The first intake was 3 000 learners and the second intake should have been 7 000 but was 7 457, with 457 to take care of attrition. The total should have been 10 000 but there were extra to take care of attrition. Ms Chiloane stated that according to the directive, DWS wanted to train 15 000. Where were the rest? Ms Mohapi explained that with the current challenges, DWS had not moved to Phase 3 as DWS was experiencing budgetary problems in funding the existing learners. The Department had received a directive to cancel Phase 3. Ms Chiloane asked why the project was not budgeted for when it had been initially planned. Ms Mohapi replied that it had started in the middle of the year and there were logistics to be arranged so that when the Technical and Vocational Education and Training Colleges (TVETs) started in 2016, those modules not covered by TVET would have been covered, i.e. water conversation, demand management and modules for entrepreneurship. Ms Chiloane asked if the programme had been planned as a three-year programme. Ms Mohapi explained that it had been planned for five years as there would be three intakes and each intake would study for three years with an overlap. Ms Chiloane asked how many qualified people had been trained. Ms Mohapi stated that 910 water agents had completed the programme and exited. 482 artisans had qualified. 446 were writing their trade test. There had been a high attrition rate. 7 000 Phase 2 learners were doing work place training. The learners who had completed their studies were from the first phase. Ms Chiloane enquired how much had been spent to date. Ms Mohapi said that DWS had spent R2.8 billion on the programme. Ms Chiloane asked if the learners were at universities. Ms Mohapi stated that the learners were at TVETs. Ms Chiloane asked if DWS realised that it was going to be a continuous unauthorised expenditure and would remain in the Department’s books. She told the Chairperson that her problem was that R1 billion was nothing to DWS. Maybe the intention was good but the processes and their systems were hopeless. It looked like DWS spent up to R1 billion on each project. She asked Ms Mohapi why the service delivery project was under the Administration Programme. Ms Mohapi explained that because WoL was not on the APP and it had focussed on training, so DWS had put it in Programme 1. Ms Chiloane said that DWS had spent R2.8 billion on an unfunded programme. The Chairperson reminded Ms Chiloane that the projected budget was R3.2 billion and now R2.8 billion had already been spent. Ms Chiloane said the PFMA made it clear that an accounting officer could not spend money that had not been appropriated. DWS should tell the Members what it needed the Members to do. She asked the Acting DG to talk to the Committee. The Acting DG stated that she understood the matter of the project not being budgeted for and, therefore, being irregular. However, the programme was a ministerial directive. She was putting herself in the shoes of the former Accounting Officer. She was not saying that it had to be done because it was a ministerial directive. The Chairperson told the Acting DG that in the file given to Members was a memorandum. The memo requested the Minister to issue a directive for a programme. The memo was signed by the DG, the Deputy Minister, and the Minister. On same day, a letter signed by the Minister was a directive to the Rand Water Board. Was the directive by the Minister initiated by officials or had it started with the Minister issuing a directive? Did she act on the basis of advice and persuasion of the Administration? Was the memo, signed by the DG, the Deputy Minister and Minister, prepared first and then the directive? How had the process worked? The Acting DG stated that there were different circumstances. Sometimes things came up in a meeting and the Minister gave a directive to a Water Board and, in other cases, the Department realised that they did not have capacity and then officials would ask for a directive. Ms Chiloane called for a point of order. She said that the Acting DG was generalising. She had to be specific to the project. She could not say, “maybe this, maybe that’. The Chairperson said that he wanted to understand the process as he was puzzled that the memo and the directive were signed on the same day. He had asked a general question about how a directive was generated and then he would come to the specific one. In the matter of WoL, where did the initiative come from? Did the Minister ask officials to generate a letter, had it come from the staff or had it come up in a meeting? The Committee needed those details because it needed to understand how the project could be unfunded. The Acting DG could not give a direct answer because the author of the memo was not in the meeting and she did not think that any of her colleagues could give an answer. Ms Chiloane said that she was not accepting the answer. The Acting DG had been in the Department before becoming the Acting DG. There were a number of other people who had been in the Department for a long time. She had to take responsibility. She had been to Portfolio Committee meetings before and knew what to expect. She told the Chairperson that the 45 minutes allocated to her would not work because the Department was not giving answers. The Acting DG had made up her mind that she would not give answers. The Acting DG asked Mr Trevor Balzer, DDG: Special Projects, to answer. The Chairperson asked him not to go into the broader explanation. Whether it was useful could be discussed later. For now he wanted to know the process of ministerial directives. How had it happened? Which of the two letters came first or what was the practice with directives? An understanding of that would help Ms Chiloane to be able to direct her questions. Mr Balzer thought the context would have helped. The directive had been a recommendation from the Department to the Minister and the memorandum would have gone to the Minister with a directive attached, which the Minister would sign if she agreed. The same date was on both documents because the memorandum and the directive had been drafted at the same time in the Department. The process was to send a memorandum, and the Minister would call the DG for a discussion, if necessary. The Chairperson thanked him as that clarified the process. Mr Booi asked what conditions had led to the directive. Mr Balzer said the Water Research Commission had undertaken quite an extensive study into what was called non-revenue water. In terms of that study, 37% of water going into municipal systems was not generating any income. It was estimated that municipalities were losing close to R9 billion per year on water losses. The President had said in the State of the Nation Address (SONA) of 2015 that there needed to a programme for water conservation and demand management within municipalities. After SONA, the Department had to take all relevant items out of the speech and arrange the necessary programmes. That was when the project had been conceptualised but SONA had come after the budget had been finalised. DWS was of the opinion that it could use revenue from the Water Trading Entity (WTE) account to fund the project. The project started but during the course of the project, the Department was advised that it was not a core WTE responsibility and the project was then transferred to the main account, which was why the WoL project straddled the two accounts. Ms Chiloane noted DWS had already spent R2.8 billion of a budget of R3.2 billion. How was the Department going to manage to pay for the remaining part of the project? Ms Mohapi clarified that the Department had cancelled Phase 3 so the project would end the following year. She could not answer regarding funding. Mr Booi asked for a point of order. What was the role of the Acting DG? According to the PFMA, she was the Accounting Officer but she was shifting around and not taking responsibility. She was delegating as if it were her office and not Parliament. The Chairperson agreed with Mr Booi in principle and when the Committee dealt with leadership, Members would realise the problem of people coming in and going out so that there was no institutional memory. It created such challenges. Mr Booi said that the DG was supposed to give the information but she was not answering and was taking over from the Chairperson. He insisted that the Chairperson make her answer the questions. The Chairperson retorted that he would not mind being DG. He asked whether, once information had been sent to SCOPA, she and her colleagues had spent time engaging and discussing things so she would be able to answer the questions when the Department got to SCOPA. If she did not answer, the meeting was not going to get far. Ms Chiloane said she had so many unfunded projects that she had not yet addressed and DWS had said that they were all emergencies. The bucket project was initiated by the Chief Director at the time. Why was it implemented without an allocated budget? The Acting DG said that the bucket eradication programme had been budgeted for but the budget had been exhausted ; there were contractual obligations that had overrun its budget and had to be paid as accruals in 17/18 as there were contractual obligations. R130 million was involved. Ms Chiloane asked why the Auditor-General picked it up, if it was budgeted for in the previous year, so? The Acting DG replied that it had been paid for in 2018. Ms Chiloane said that Auditor General said that the project had not been budgeted for and Acting DG said it had been budgeted for and had overrun. Why did the Auditor General say it was not budgeted for? When the Auditor-General did his work, he was always in contact with the officials. She failed to understand the explanation. The Acting DG said that it had been budgeted for in the previous year and it had overrun. It had not been budgeted for in the year in which payments were made. The Chairperson explained that Acting DG had to say she agreed that it was not budgeted for in the year that the accruals were paid. He suggested that the Committee enquire what had happened in the previous year. How much it had been budgeted for and why had it overrun by R130 million? Ms Chiloane told the Chairperson that she understood, but the Members did not want to feed the Department answers. The Committee asked questions and expected the Department to answer. Ms Chiloane said if she asked for the door, the Department should tell her to go right, and not round, round and round. Ms Chiloane turned to the Olifantspoort project. The Acting DG stated that Olifantspoort project was a project run from… She agreed that it was not budgeted for. Although it was scoped and made implementation ready, the implementation had not happened because the former DG had realised that there were no funds and so it was stopped. It never took off the ground. She would give over to the DDG concerned to explain the Olifantspoort and Polokwane projects as both of them had the same explanation. The Chairperson confirmed what the Acting DG had said: the two projects were never implemented. What did that mean? The Acting DG explained that the projects had continued up to implementation readiness, i.e. impact studies, and everything that went with a project up until they went to the ground. The Chairperson asked her to explain exactly what was meant by implementation readiness. The Acting DG explained that the planners had to obtain and check the EIA (environmental impact assessment) and if it required cooperative funding, the Department had to come to an agreement with the relevant municipality. That was done in a different branch. The Chairperson asked Ms Chiloane how she wanted to take the matter forward. Ms Chiloane noted that soon after the project was initiated – it certainly was not planned – DWS had a R134 million overspend. DWS had spent R143.9 million on the Olifantspoort scheme and R22.8 million on the Ebenezer scheme. How much had the Department budgeted for the pre-implementation stage? The Chairperson reminded Ms Chiloane that they were unbudgeted projects. Ms Chiloane said that she did not understand as the Auditor-General had found an overspending in Programme 3 on the water infrastructure bulk grant. If they had overspent, there must have been some money for it. How much was spent on the two projects? Were they planned or unplanned? How much was spent, according to the officials’ knowledge? The Acting DG said she would have to ask the Deputy Director-General for National Water Resources Infrastructure to speak on the matter. Ms Zandile Makhathini, Deputy Director-General: National Water Resources Infrastructure, DWS, explained that basically one business plan for Olifantspoort scheme and the Ebenezer scheme was developed by the Minister because Polokwane could not develop without water. The former DG had approved a business plan which had costed the project at R2 billion and then a directive was issued by the Minister to Lepelle Northern Water. Lepelle began with a feasibility study and a preliminary design for which Lepelle invoiced DWS R143.9 million for Olifantspoort plus R22.8 million for the Ebenezer scheme. Lepelle had gone beyond the feasibility study. They went into detail but DWS had only budgeted R40 million for the study. The same occurred in the Giyani project. DWS had to pay the invoices. Ms Chiloane asked if Lepelle had gone beyond the scope. Ms Makhathini agreed. DWS had wanted the quick wins but the consultants had said that it would be more expensive if the Department had zoomed into one so they had just gone ahead and done it. She added that she was not at work for a large part of the time that that was happening. When she came back, she was faced with that invoice and the designs but she had expected much less. But the Department had had to pay them. Ms Chiloane said that it was not true. DWS had asked a service provider to do work for about R40 million but the service provider had spent R140 million on a scope that was not given to them and the Department just paid the invoice. She did not believe Ms Makhathini. She did not believe her. She did not know if any Members believed her. Money was like fish and chips. Money was just coming and going. She was just paying out. Ms Chiloane asked the Chairperson to put himself where she was sitting. A Department had a project for R40 million and when the service provider wanted R140 million, they just paid it. Where did the money go? Who was the service provider? Ms Makhathini replied that Lepelle Northern Water was the implementing agent. For four months she had not been at work, and when she came back, that invoice was awaiting payment. Ms Chiloane asked who had been in office while she was away. Ms Makhathini replied that there were people acting in her place: Stephen Abugam and Leonardo Manus. The Chairperson asked who had authorised payment. If one asked someone to buy fish and chips and they came with clothes and shoes, would one pay? Ms Makhathini stated that payment had been made by then Acting DG, Mr Sifiso Mkhize, but maybe it was another DG. The Chairperson asked someone to clarify who had authorised the payment after it had been approved by the Infrastructure DDG. Mr Frans Moatshe, Acting CFO, DWS, stated that payment had been authorised by the then Acting DG, Squire Mahlangu. Ms Chiloane asked how long the project had taken. Ms Makhathini replied that it had taken not more than a year as it was just planning. There was a portion that was still continuing, but the municipality was doing it. They were doing the water treatment plant and the water pipeline. That was paid for by the R5 billion Infrastructure Grant. On a point of order, Ms Khunou asked her to clarify who had approved the invoice. The DDG had said that she found it in her in-tray and had had to approve it. Ms Makhathini explained that she had been in office when the Minister had given the directive to Lepelle and when she came back, there was an invoice in her office. She had not expected the implementing agents to go so far. Lepelle then brought a box full of preliminary designs and said that that was what they had done. The work had been done. But there was no budget. She had showed the DG the invoice and told him that the work had been done, even in such a short time, but she knew that there was no budget for it. She had even checked with the quantity surveyor who agreed that the work had been done. But they had not had the mandate for the work. The Chairperson asked if the service provider had had a mandate. Ms Makhathini replied that the budget was R2 billion but one needed to pace oneself. The Chairperson asked if the service provider had had a mandate to spend the R143.9 million and the R22.8 million. Ms Chiloane asked who had done the procurement. Ms Makhathini explained that it had been a result of a directive. Ms Chiloane asked if it had been advertised. Ms Makhathini explained that the Water Services Act permitted the Minister to issue a directive to appoint an implementing agent if the Department did not have the expertise. It was clear that the fiscus would not have the R2 billion, or even the R160+ million that had been spent. The Department and Lepelle could have put it on its balance sheet and then paid from the Lapelle Northern Water Board balance sheet. Mr Kekana asked if the Minister’s directive could disregard the law and appoint anyone. Ms Makhathini clarified that the Minister would not get into the details of the project. DWS would give her the scope of work but before she issued the directive a business plan had already been up based on an assessment that answered various questions, such as how and why it would be done. So the Minister gave Lepelle the project and the implementing agent would tell the functionaries how much to spend according to how much money they had in their budgets but most of the implementing agencies did not adhere to budget policies. There were now new rules for the implementing agents that said that they could not go beyond what had been agreed upon but those rules had not been there then. Mr Kekana asked the Chairperson if he could get clarity. He asked if the Minister had issued a directive and then told Lapelle that they had to do the work. Had she appointed implementing agents who were to implement without testing the market? Ms Makhathini explained that the Water Services Act stated that following a directive, no bidding would take place. There was no advertising. The implementing agents were categorised according to their expertise. When the implementing agents went out on tender they followed the PFMA. Mr Kekana asked if she had followed the procedures. Her answer had been that the Minister had given a directive, but had Ms Makhathini followed procedures? The Chairperson intervened, assuring Mr Kekana that what he was asking would come later. He asked Ms Chiloane to wrap up. Ms Chiloane said all the unbudgeted projects were the same. She was rounding up. Had the Acting DG taken any action against the officials who had been involved in the matter of the Olifantspoort project? Had there been an investigation? That one was just daylight robbery. The Acting DG informed Ms Chiloane that she had not taken action because the investigations were still underway. It was only when the investigation was complete that she would be able to take action, which she certainly would do. Ms Chiloane said that according to section 38(1)(c)(ii) of the PFMA, the accounting officer must take effective and appropriate steps to prevent unauthorised expenditure. She should be ashamed. What had she done? The Acting DG stated that she had only been in the post for six months. The audit had been completed in July and investigations were currently underway so she had not been able to do anything about what had happened the previous year. It was going to be difficult for her to answer directly what had happened the previous year. She was improving internal controls and was training officials. National Treasury had been requested to provide training. Ms Chiloane thanked the Chairperson for the opportunity and told the Acting DG that some of the officials were still in government, even in other departments, and she was empowered by PFMA to do her job. Six months was not long but she had been part of the Department so she had to do something. It was embarrassing to talk about those things. She suggested to the Chairperson that the projects had to be revisited. So many wrong things had happened. Money had been looted. The Department was like the grandmother’s house where grandchildren did as they wished. There was much more in the matter of unbudgeted projects. The Chairperson indicated that Mr Hlengwa would put his questions before he opened the meeting for questions as the topics were closely related. Mr Hlengwa said he was going to be very patient. He wanted to deal with the issue on the table. He was asking about overruns. Mr Balzer had spoken about a study and then SONA. He was subject to correction, but SONA was compiled based on the recommendations made by departments to the President during the Lekgotla. The actions announced in SONA were generated by the Department and so SONA could not be blamed. No one could say that something had just popped up in SONA. The Department had to take the Committee through the whole process. The Minister had received a directive from the Department which told the Minister to sign. It was reckless and irresponsible because the Department knew full well, when presenting the directive, that there were no funds to pay for it. Mr Hlengwa interjected, stating that SONA was based on the Department representations. He had to be logical. What had the Department told the President pre-SONA? Mr Balzer believed that he was trying to be logical. Mr Hlengwa asked what DWS had told the President. What presentations were made to the President? Mr Balzer declared that, coming out of the research, it was identified that there was a need to undertake water conservation and water management in the municipalities. It was not the first time that a target had been set for water losses. In Outcome 6 in the MTEF, there was also a target for the reduction of water losses. Because the matter had been included in SONA, the Department then formulated a project to deal with it. Mr Hlengwa maintained that the Department had made the representation to the President, but he did not think that DWS would not have waited for SONA. SONA simply legitimised the programme. They knew that it was not budgeted for and so, they got a directive from the Minister and hooked everything on the SONA presentation. They knew full well that there was no budget. How was that responsible? When directives were decided upon, was there any consideration of budget or did directives simply go ahead? The Acting DG declared that when a directive was prepared, the Department would see if the finances were available as the submission had to have something on finances and indicate whether there was a budget. Mr Hlengwa suggested that the Department knew at that time that there was no budget but the submission for the directive went ahead without a budget. He had seen the table of estimates and, unless he was wrong and had misunderstood something, the Department knew that there was no budget. The Acting DG said that Mr Nel, Chief Director, Water Trading Entity would assist. Mr Ne said that the War on Leaks contract had been signed in 2015. In the 2015/16 and 2016/17 years, a budget was available in the Water Trading Entity (WTE) account but then the WTE was in trouble and, with National Treasury, a decision was made that the project had to go to the main account, which it did, but that meant that in the third year, 2017/18, there was no budget. The Chairperson noted that the spreadsheet before the Committee Members showed that monies had to be shifted around in the WTE. Mr Hlengwa asked whether, at the generation of the directive, there had been a budget. Mr Nel agreed that there was no budget, but funds had been shifted from other projects to make a budget available. There had been no budget when the contract had been signed. Mr Hlengwa asked why it had been so difficult to get an answer. He continued. The then DDG at National Treasury, who was currently the DG, had gone to town in a letter explaining the budgeting process as if he was teaching Budgeting 101. It seemed that no one at DWS understood budgets. Subsequently, the originally adjusted budget was R180 million but the expenditure for 2017/18 was R250 million and the amount over-spent was R68 million. At the conceptualisation of WoL, was any due regard given to the financial impact of the programme or was it a knee jerk reaction simply driven by a need to say that they were doing something? DWS had reallocated budgets and had even overspent the reallocated budget. He noted that R326 million for goods and services had been overspent by R32.6 million. Mr Hlengwa asked the Acting DG how long she had been in the Department and to describe her ascension to the position of Acting DG. The Acting DG stated that she joined DWS as a chief director in October 2005. In 2013, she became the DDG for Water Planning Information and Management, and had become Acting DG on 31 May 2018. Mr Hlengwa noted that she had been responsible for water planning. So what had been her role in planning for WoL? The Acting DG maintained that she had had no role in the WoL, but the project had started in her branch in Information Management. The project manager was in her branch. However, the project was not run by her. In 2016 she was taken out of her branch and only returned in October 2016 and by then, the project manager had been moved so that he reported directly to the DG. Mr Hlengwa queried whether such a project would, ordinarily, have fallen within her ambit of report. Was it related to her branch? The Acting DG stated that it would not necessarily be within her branch, although it dealt with leaking infrastructure. It had been moved to Programme 3 because it dealt with the maintenance of infrastructure. Mr Hlengwa asked if it was regular that the Project Manager did not report to her. The Acting DG said that it was difficult to answer as it was not necessarily normal..
Mr Hlengwa asked her to explain the line function. The Acting DG suggested that if one looked at the project from a training prospective, it was in Progamme 1; if one looked at operations and maintenance, the project belonged under infrastructure, and that was in Programme 3. Mr Hlengwa asked, in terms of the organogram, who had been the project manager’s DDG? The Acting DG was confused. The Chairperson asked whether she had people in her branch who did not report to her. The Acting DG indicated that she did have people who reported to her but who also reported to someone else on a specific project. Mr Hlengwa asked how the decision that the person would report to someone else had been formalised. How had they arrived at the decision that he was not going to report to her? The Acting DG maintained that the decisions were not taken by her, but as an Accounting Officer (AO), she would say that such decisions should be formalised by asking all parties. The Chairperson stopped her as she was rambling. The Committee wanted to know who had taken the decision, in that instance, for the project manager to report to someone else. How did the Branch Head know that he was not going to report to her? Was a letter sent to her? Or how was it done? The Acting DG stated that the letters would have been written by HR, who was in the meeting in his capacity as the DDG or Corporate Services, but he said that the decision had been taken by the AO. Mr Hlengwa asked whether the Acting DG had been informed. The Acting DG stated that she had only seen letters. That was all she saw. She was not consulted or part of the decision but had seen letters written to the respective individuals by Corporate Services and signed by the DDG. Mr Hlengwa asked Mr Squires Mahlangu, DDG Corporate Services, who had taken the decision to reconfigure the reporting channels for the project manager. Mr Mahlangu stated that he was asked by the DG to write a letter stating that the Chief Director would report to the DG. Mr Hlengwa asked to whom the letters were sent. Mr Mahlangu said that he had written to the Chief Director and the then DDG, now Acting DG. Mr Hlengwa asserted that the manner in which the programme was birthed was the genesis of the project that had landed DWS in the mess that it was in. Its management had been a total mess. The Acting DG, and no one else, would take responsibility for it. Mr Hlengwa changed tack and asked where were the funds were originally shifted from to become the budget after the contract had been signed. He was reading the directive by the Minister on 23 April 2015 which gave the PFMA and National Treasury regulations. Mr Nel did not have a record of where the funds had come from. He would have to look at the mid-term shiftings. Mr Hlengwa said it was not possible that DWS did not know where the money was coming from. DWS officials knew they were coming to SCOPA and that WoL would be discussed. They should have researched every single detail. The briefing note spoke about financials. The officials knew they did not have the money so where had they thought the money would be shifted from. He knew that the information was there but the officials were simply refusing to tell him! The project needed a total of R3.2 billion for 15 000 trainees. They knew where the money would come from because they had made the recommendation to the Minister. They could not not know. He was asking the Department to engage in good faith. The Acting DG said that she could not assist and she had asked her colleague to check her records. She had not anticipated that question as it dated further back than the current year. It was from 2014 or so. The former CFO would know. Mr Hlengwa declared that he was looking for information on a Department, not an official. He strongly put it to her that she had to get to the bottom of things. He accepted that her excuse might be valid, but did no one think that SCOPA would want to do an age analysis, especially after National Treasury had talked about the virements? He advised her to know every single detail when the Department came back the following week. The Acting DG suggested that Ms Makhathini might know. Ms Makhathini stated that the shifting of money had come from WTE. The revenue generated by the WTE was intended for water operations and maintenance. The branch had reduced the budget for operations and maintenance and had used that money as the project was considered another mechanism that would reduce water losses. The money came from revenue from water use charges. Mr Hlengwa asked what the effect would be if operations and maintenance were reduced. Ms Makhathini revealed that, as a consequence of shift of funds, it had severely affected the operations. Other new projects were also funded by WTE. The revenue from water use charges had been depleted as the charge had not been increased to cover all the projects. Mr Hlengwa asked how much had the Department taken from WTE. The Acting CFO said that from the 2015/16 expenditure, they had reconciled R554 million. There were various funds under Water Trading and since the documents had not specified where the funds had been moved from, he could only say what expenditure had occurred. The funds had come globally from WTE but he had no indication from which programme in WTE. Mr Hlengwa revealed that he had suspected that he would get to the question of responsibility and that was the reason he had asked the line function questions. Figures were not available because officials had just taken the money as and when required. There had been no plan. They had invoked a legal prescript for a Minister to act. She had to sign and then they would find the money. The Department simply had no clue. He suggested that Minister Nkwinti should check any directives very carefully as officials did not do due diligence. Because someone had formulated a malicious directive, the Department was in serious trouble. He asked the Acting DG to give a breakdown of the shifts of funds in 2016/17. Mr Hlengwa asked Mr Nel how they had found the funds for 2016/17. What was the figure for the year? Mr Nel explained that in 2016/17, the allocation had been done at the beginning of the year and the budget had just been done. All of the funding came out of the revenue generated by WTE. DWS got R9 billion from the allocation of water and it could decide what to do with it, so it was not as if money was shifted from any other capital projects. Money for capital projects came from National Treasury but the WoL project had come out of revenue. Mr Hlengwa said that the Department’s own document had said there had been a shifting of funds to the relevant programme and yet the Acting DG could not say where money had been shifted from. R554 million had been identified in 2015/16 but he would await the details with all of the narrative from the Acting DG. His question was the R750 million budget required in 2016/17. How much did the project get and use against the benchmark of R750 million? Mr Nel stated that R750 million had been made available in the budget but it had been increased by R48 million to R798 following the mid-year virements. Mr Hlengwa asked who was responsible for the project in 2016/17. Why was the virement required and where had it come from? Why had there been a virement of R48 million? Ms Mohapi said that according to the records on the directive there had been an estimated budget but with implementation, there were different figures. Payments made in 2015/16 were far more than what had been estimated in 2015/16, so in 2016/17 the virement was done because DWS had expected a shortfall. Mr Hlengwa asked where the R48 million had come from. That was where there was a problem. In year 1, there was a shortfall of R96 million and in year 2, there was a virement of R48 million. It spoke to chaotic efforts to manage. Where had the virement come from? The Chairperson told the Minister that the documents sent to SCOPA had generated the questions that Members were asking. Committee Members had read the documents sent to them and they had generated questions. The Department could not give documents and then be unable to answer questions on those same documents. The officials had to plan and prepare before coming to SCOPA. The officials were not a team. There were a few people diving in. Mr M Booi (ANC) stated that no one in the Department knew what was going on. The officials were being paid by taxpayers but they could not answer questions on their own documents. It was worse. No one seemed to know. Mr Hlengwa had tried all night but not received an answer. Ms N Mente-Nqweniso (EFF) agreed with Mr Booi. The Committee was only on the first project. The executive summary gave six projects and the Auditor-General’s report suggested more. The Committee was still going to drill down to the invoices in the WoL project. The first letter had been about a Rand Water Board project and had prices on the back of the letter. Millions had been spent on a project that did not make sense. The Committee had to go through each one. But DWS was playing games. The Committee had not made it an enquiry because it had expected to receive answers. The Committee had thought that the new Minister had brought a team, but they knew nothing. They were not helping the Minister. She did not know why he kept them. She asked DWS where the students were who had completed their studies. How did the students get to a stipend? How much did each student cost? If the officials could not answer, they should not take the responsibility of being a DG or DDG. Mr D Ross (DA) understood his colleagues’ frustration. It was either total incomprehensible incompetence or non-compliance by refusing to answer questions on their own documents. He was quite prepared to sit until the morning to sort it out. A Department could not offer that current level of answers on their own documents. The internal audit that he had examined was a real concern. They had no idea where the money had been shifted from. It was not acceptable. He would be questioning the officials the following week and what he had found in his readings was quite disturbing. Mr Ross stated that his main concern was that when DWS had started the War on Leaks project, it was simply conjured up. On 2 December, 2016, the letter from the DDG at National Treasury, Dondo Mogajane, was, in fact, a risk report to the DG. The letter indicated that he should know the risk between the Water Trading Entity, the Trans-Caledon entity which was a Section 2 financing entity and the Department and the fiscus. Mr Ross knew that the money had been taken from the WTE and that it had been allocated to maintenance of water systems for the citizens of South Africa. However, the Committee had had to sit for an hour as colleagues tried to drag that one answer from the Department. The projects had rendered the WTE and the Trans-Caledon entity insolvent. There was no money left in the Department. He appreciated that the Minister had the decency to sit in on the meeting. Instead of an honest analysis from the officials, they had not even answered the questions. It was unacceptable! The Department had been R26.9 billion in debt before starting 40 unfunded projects. How could they spend that money, especially when their current debt was financed by a guarantee? They had R4.2 billion in debt costs. Mr Ross declared that the founding stages of the WoL project were utterly appalling. SONA was no more than a set of policy objectives by the ruling party. It was a policy statement and needed a budget to finance it and any child in school in the lower grades would know that. But suddenly these senior officials embark on 40 unfunded projects. How could they do it? If it had been an emergency, why was it not addressed in the MTEF so that there could be an adjustment? Mr Ross was angry that officials had tapped into the funds paid to the WTE to maintain the water systems. The hardship that those officials had caused was so great that honest citizens could not open a tap to get water! His colleague was right to go to the founding stage. The Acting DG was unaware and ignorant of what was going on. It was unacceptable for officials to plead ignorance in front of the Minister. He did not understand it and he was not buying it for one second! Ms Khunou agreed that even pre-school children could budget better than DWS could. Children know how to look after their money. How could the officials watch SONA and then rush off to implement projects when they had no money? The gentleman at the back (Trevor Balzer, DDG) said that he dealt with emergencies but that was not an emergency project. The officials had not prepared and it was not the first time. He stated that it was an emergency but he contradicted himself because he did not know what he wanted to prove. The Acting DG had not prepared for the meeting. She had been given a letter but she had not seen it. The Committee was referring to the Department’s own documents. Members had read them when they had received the documents on Tuesday, but the officials who had been in the Department for years, did not know anything. They spent R2 billion without concern. It did not matter to them if people were fighting with animals to get water because they would just get bottled water in Parliament. R48 million was not peanuts. The team was not actually a team. It was just a group of individuals. The whole thing was unacceptable. Mr Kekana said that the officials had not prepared. They had come intent on hiding behind the Minister’s directive. They simply refused to give answers and he did not know how they were going to deal with it. The officials knew the answers. The strategy was that they would not respond and would pretend to be ignorant. The Committee should simply investigate them. The Department had been to SCOPA before and at that time they had refused to answer questions until SCOPA had broken them down. The Committee would not abandon the hearing so that the Minister and Deputy Minister could see what type of officials they were working with. When the officials walked out, they accused politicians of being corrupt but they were the ones manipulating the Minister. The Committee had to get answers or get the SIU to investigate. Ms Chiloane concurred with Mr Kekana that the officials knew the answers but refused to engage. Could the Committee not subpoena them because then they would have to speak? They knew what had been happening in the past three years. The officials had to be prepared to speak. They were just hiding. It was the duty of officials to look for the information in the offices to be able to give the answers. Mr Hlengwa said that the Committee was used to that kind of thing and he was very patient. He moved on to the overdraft. While the Committee could consider a subpoena, the Powers and Privileges Act compelled officials to respond to questions. He wanted to get the Acting DG’s understanding of the overdraft. Was the Department allowed by law to have an overdraft and how had they arrived at the overdraft? The WTE had an overdraft of R1.8 billion extending up to R3 billion. What was the official explanation? The Acting DG said that the simplest explanation that she could give of an overdraft was spending money that one did not have. Mr Hlengwa knew what an overdraft was but he wanted to know why the Department had an overdraft. The Acting DG asserted that there were no official documents that explained how WTE had got an overdraft so she did not know. The Department only had National Treasury letters that had been sent afterwards. The previous CFO was charged with misconduct but he had resigned from the Department. So she did not know how to explain it. Perhaps Mr Balzer could explain. Mr Hlengwa said that he had to take her statement as the official position of the Department. What was the overdraft? How much? The Acting DG asked if he wanted the current figure. When the overdraft had started in 2015, it had been R2.06 billion. At the moment, on 24 November 2018, the overdraft stood at R1.4 billion. Mr Hlengwa said that no one could go to sleep with an overdraft of that amount. How had it happened? What were the checks and balances on a weekly, monthly and quarterly basis that had not foreseen the crisis? What provision in law aided and abetted the overdraft? Mr Nel explained that in 2015/16, DWS had cut the augmentation to the WTE by R2.7 billion. When the budget had been done, the assumption was that the old debt of R2.7 billion would be collected. The money was never recovered but the money was spent and that had resulted in an overdraft. Mr Hlengwa asked about National Treasury regulations. Mr Nel stated that National Treasury did not allow for an overdraft, nor could it condone an overdraft. He added that no provisions had been made in terms of an overdraft. The account was not in overdraft so it was always an overdrawn account of R2.7 billion. That also contravened the Treasury regulations. Mr Hlengwa asked when DWS had realised that the Department had a problem. When had the officials taken note of the red flags? What was the progression? Mr Nel said that it grew from an overdraft of R454 million in March 2015 to R3 billion in 2017 and then it reduced to R1.4 billion. Mr Hlengwa asked who knew that the overdraft was illegal. Mr Nel did not know, but he thought that the CFO knew. Mr Hlengwa asked to whom the CFO reported. Mr Hlengwa knew that the CFO had been charged, but was the DG ever charged? DWS had taken the drastic step to charge the CFO but he was reporting to the DG and there were weekly, monthly and quarterly management meetings when the overdraft must have been clearly shown on financial reports. Was the DG ever charged? Mr Nel commented that he did not know if the DG had been charged. If he had been charged, Mr Nel had not been privy to that information. The engagement was interrupted by Mr Squire Mahlangu who attempted to ask whether that was the time that the DG had resigned. The Chairperson commented that it was not possible for senior officials not to know, so he would assume that the DG had not been charged. Mr Hlengwa noted that the Department had had an overdraft of R454 million in the first instance. What action was taken when the officials knew that they were on a collision course with the law? Mr Nel could not answer as he had not been part of the top management team at that stage. Mr Hlengwa assumed that he would have taken a look at the circumstances of the overdraft. He was convinced that if the team came to SCOPA not knowing what had happened, the only conclusion was that nothing had happened. The only intervention was letters to National Treasury. Were management reports available, concerning the overdraft? What corrective action had been set into motion to deal with the overdraft? Mr Nel could answer that question. On 1 April 2017, the Department had included a projected surplus of R748 million in the budget and when the year had ended with a budget surplus, that amount had been used to take down the overdraft. Mr Hlengwa noted that the officials only had answers on the good things. When things were wrong, there were no answers. The red flag had to have been raised by somebody or the budget would not have included the surplus. What had raised the red flag? Mr Nel disclosed that at the end of March 2017, National Treasury had said that it would freeze the DWS accounts. So the intervention had come from National Treasury. Mr Hlengwa noted that the Department had not taken any action of its own accord. It had taken a decision by National Treasury that it would close the Department’s accounts, an action of that magnitude, to get the Department to do something. He believed that the whole thing had started with a malicious transfer of funds. The Chairperson wanted to amplify the question. He asked whether, before the letter from Treasury, there was any discussion or action concerning the overdraft in the Department or in the WTE. Had the Minister or DG expressed concern? Mr Nel stated that before the letter to National Treasury, the budget to DWS had been cut and so DWS had written to Treasury expressing concern. The Chairperson stated that he was looking for action from the leadership of the Department. He wanted to know about meetings or discussions. Mr Nel did not now as he was only appointed acting CFO from 1 April 2018. The Chairperson asked if there were minutes of top management meetings. The Acting DG confirmed that there were minutes. Mr Balzer stated that he would have to get access to the minutes to provide details but he could confirm that it had been pointed out that it was explained that it was not legal to go into an overdraft situation. Mr Balzer replied that top management consisted of the Accounting Officer/ DG, all DDGs, the CFOs (at the time), the Chief Information Officer, Head of Communications and Internal Audit. Mr Hlengwa asked if the Acting DG would have been a member of the top management meetings in her capacity as DDG and would have been aware of the overdraft. He asked her what action had been taken. Mr Booi said that there was a letter from DWS to National Treasury. He asked if Mr Dan Mashido was in attendance. Who was he? The letter had been signed by him. The Chairperson explained that he was still looking at the processes that had led to the letter. Mr Hlengwa stated that the letter had been signed in 2017 and the R450 million genesis of the overdraft had preceded that. He was trying to get to the genesis of the overdraft. What had happened? What actions had been taken at that point? The Acting DG said that there was a time that she had been removed from the Department and during that time she was not part of top management. The Chairperson asked what she meant. Was she suspended? She should labour through it so that the Committee could understand. Mr Hlengwa asked which DG as there had been so many. The Acting DG stated that she was trying hard to forget. She reluctantly informed the Committee that the DG had been Margaret-Ann Diedricks who had announced that the Minister had approved her (Ms Mochotlhi’s) transfer to Limpopo Province to start the following day. The following day, Ms Diedricks had corrected the statement saying that the transfer was effective from 1 January 2016. Then Ms Mochotlhi had engaged in a legal process and she did not go to Limpopo but she was not in a branch or top management. She was put in a branch called Policy. She had not resisted but she resisted being put in a non-existent post. The legal action continued until the DG resigned in October 2016 when she returned to her post. She wished to forget it. Mr Hlengwa appreciated that she wanted to forget it but it helped the Committee to understand the Department. The Chairperson said he had to be careful that checking how appointments happened did not get the Committee in trouble as that had happened before. He reminded the Committee that the discussion would focus on management the following week. Mr Hlengwa suggested that the Acting DG must have had the overdraft in the forefront of her mind regardless of the circumstances. He imagined that she would have read the minutes to see what had happened in her absence. He was trying to get the Department to explain how it had dealt with the overdraft. The Acting DG informed the Committee that the current focus was on the payment of the overdraft and that was why a decision had been taken not to start new projects and not to put projects in WTE where they did not belong because that did damage to the Department as the officials were seen not to be serious. They wanted to focus on payment of the overdraft. Mr Hlengwa agreed that it was a fine plan but asked if she did not want to understand the root causes and how could she understand the root causes if she did not investigate and institute consequence management? If the Department simply took no responsibility for the overdraft and did not understand the circumstances that had given rise to the overdraft, the risk was that DWS might again find itself in a similar situation. He referred to the letter to Treasury on 27 February 2017 signed by Dan Mashido because the Department was not taking responsibility for the overdraft. He read from page two of the letter in which the Department brought a number of issues to the attention of National Treasury. It said that should the shortfall not be made good, it would have the following implications: 1) Water service delivery challenges; 2) Litigation over contractual obligations; 3) Unhappy water users paying tariffs and not getting what they paid for; 4) Limited job creation and social and economic impact. The letter added that the Department was still waiting for National Treasury to assist with the debt collection from the municipalities which would go a long way in reducing the overdraft. Mr Hlengwa noted that the Department had said that the problem was not of its making. It took no responsibility for negligence and wanted to place the responsibility on the shoulders of National Treasury. However, when the overdraft stood at R 454 million, DWS knew that it was illegal and decided to conjure up the whole idea of social instability. Mr Hlengwa stated that what was really telling was the response by DDG Mogajane from National Treasury, who stated that the budgeting process for the 2016/17 MTEF had concluded when the Minister had tabled the 2017 budget in Parliament. The budget was thereafter subject to the legislative process and in terms of the Money Bills Act, only Parliament could make amendments to appropriation. Hr Hlengwa suggested that two questions arose: Was the Department not aware when it sent the letter that it was asking National Treasury to do something that was impossible? Or was it a malicious letter shifting the blame to National Treasury? A further question arose about the capacity and competence of the people in the finance division of the Department. On the basis of the National Treasury information, had the Department approached Parliament? If so, what were the details? If not, why not? Also, why had the Department approached National Treasury if it were familiar with the process and timeframes of budgeting? That was budgeting 101. Was National Treasury approached in good faith? The Acting DG said that there was no indication that Parliament had been approached. The second question was difficult to answer. On the question of good faith, she could not respond and neither could Mr Nel. The Chairperson stated the second letter from the Department was a request to National Treasury to allow the Department to use the overdraft to an amount of R2 billion. The Department was asking National Treasury to do something that was illegal. Was that request made in good faith? Mr Hlengwa had read it to show the threats made by DWS to National Treasury, even though anyone who understood the budgeting process would know that the horse had already bolted. He was looking at the honesty with which the Department had written the letter to National Treasury. Mr Hlengwa wanted the minutes of the first top management meeting where the overdraft had been discussed. It would help him to understand the state of health of the Department. He also wanted to know the role of internal audit. He noted that someone from internal audit was in the meeting. He asked if she could place the role of internal audit in the whole chain of the overdraft events. Ms Emilise Nezar, Chief Audit Executive at DWS, stated that in relation to the overdraft, an investigation had been requested and had been performed by the Forensic Audit unit. It had found that the CFO had been in contravention of the National Treasury Regulation 19.2.3 as well as 10.15.1.2 which referred to the timing and the in-and-out of cash in relation to the budget. Ms Nezar had joined the Department in January 2018. The team had, as part of the internal control unit, reviewed budget process management and financial management issues where those issues had been brought to the attention of management. The team also had quarterly audit committee meetings and issues were raised. The Audit Chairperson then drafted a summary of the activities and the issues raised and sent it to the Minister on a quarterly basis through the office of the DG. Mr Hlengwa asked whether the overdraft had been raised in top management meetings. Ms Nezar confirmed that she would have to consult the minutes but it had been included in the agenda items as well as the concern about WTE and the Department, and a report was provided on a quarterly basis. Mr Hlengwa wanted Ms Nezar to source the internal audit report at the time of the first discovery of the overdraft at R454 million. He wanted to know what internal audit had done and who had been responsible. He needed to determine whether the internal audit was, at that stage, functional or not and how it would have impacted on the escalating overdraft. He requested the submission of that information. He had completed his questions for the time. Mr Ross followed up on the overdraft. He wanted to know how the reduction of the overdraft had come about. Mr Nel explained that he had acted as CFO but he was currently a Chief Director: Management Accounting in the WTE. Mr Ross was impressed by the reduction of the overdraft by forcing expenditure control but he was not impressed that he had been unable to explain how the overdraft had occurred. He suggested that the problem lies with including impairments in the budget. He thought that DWS had budgeted for a normal revenue but then there was an impairment and an under-collection of revenue but, it seemed, that DWS had thought there was a possibility of using the income generated by WTE. He thought that other money had also been moved from the WTE account to other unfunded budgets. Was it possible that the impairments incurred and the sudden overdraft expansion was because there were other unfunded projects in WTE? Under normal conditions an overdraft could not have shot up like that. Mr Nel needed to indicate if he was wrong. Mr Nel said that in 2016/17, in drawing up the budget, DWS had assumed that it would collect the full amount of normal sales, but would also collect old debt of R2.7 billion from municipalities. Mr Ross stated that the Department should have known knew that it could not collect old debt. So, it had inflated its own budget to make the budget balance. In the budget it looked fully funded but it was not because they knew that the old debts would never come in. The budget had not been fully funded as the old debt was impaired. DWS could not meet its debts and repay the overdraft. He asked Mr Nel for his opinion. Mr Nel said that when the money had not come in, the expenditure should have been cut. The money should not have been spent when the money was not coming in. Mr Ross asked if there had been movement of funds to other unfunded projects. He suggested to the Chairperson that the Committee needed to do a thorough analysis of how the overdraft had exploded and see if there was a correlation with the moving of money to unfunded projects. He assumed that there was a correlation. Ms Mente-Nqweniso wanted to speak to the person in monitoring and evaluation (Ms Mohapi). In the WoL, DWS had spent almost R2 billion. How had it been spent versus what the DG had set out in the memorandum to the Minister on how the War on leaks would roll out? Ms Mohapi referred to her earlier statement on the financial implications of War on Leaks. Based on the documents relating to the programme, the costed budget plan had differed from the original R3.2 billion budget. The costed budget came to R4.2 billion. The expenditure was divided into payment for tuition of learners at TVET colleges, protective clothing, stipends, learning material, monitoring and evaluation of learner progress, aspects of the setting up of payroll to pay stipends; funding for provincial representatives to monitor and support learners. Ms Mente-Nqweniso asked Ms Mohapi if she had she visited the schools and verified the value for money. Ms Mohapi replied that she had visited some schools because there had been queries and challenges at the sites and so she had visited some schools in Limpopo, KwaZulu-Natal, Eastern Cape and North West. She had also sent delegations to find out why DWS was receiving queries from the learners so that the learners got what they had been promised. The Chairperson asked her to tell the Committee about the findings, and whether there had been any corrective measures taken. Mr Mohapi said everything had looked good, and the schools were well-established. The DWS monitors had also spoken to monitors from the QTCO (Quality Council for Trades and Occupations). The Chairperson asked if the complaints were founded. Ms Mohapi confirmed that some complaints were valid. For example, one school in North West had moved to a new venue that was not up to standard. Service providers had been given time to address the challenges. Ms Mente-Nqweniso asked if there had been value for money. Was the offering equivalent to the money paid? Ms Mohapi agreed that there had been value for money. Ms Mente-Nqweniso referred to the budget for the project: Item no 5 indicated R1 million for site buildings, fittings and furniture. Why did they have to provide furnishings, etc. for well-established schools? Ms Mohapi said that the costs came from the implementing agency. It was difficult to say why they had costs for site building but the implementing agent had put up a call centre to deal with calls from students. The costs could have been for the call centre. Ms Mente-Nqweniso stated that it was not true. The DDG was cooking the answer. Venue hire was budgeted at R10 million. Promotional items, marketing and branding was budgeted at R3 million. Ms Mohapi had to be careful because she was under oath. The list was abnormal and should not be in the budget if the students had gone to well-established schools. Was she not responsible for monitoring and evaluation? Ms Mohapi stated that the questions were at that junction where she could not answer. She did not initially have responsibility for the project. Her responsibilities for monitoring and evaluation had only commenced that year. Ms Mente-Nqweniso asked the Acting DG why all the abnormal items were on the list. Was it to inflate the prices? She asked the DG to provide answers. The Acting DG agreed that those items should not have been there. She needed to get the invoice to establish what had been paid for. The Chairperson could not understand why it was included in the file for SCOPA if those items had not been paid for. The Minister had signed the budget, but it looked like a budget for a new school. He was interested to find out what it was. The budget proposal did not match sending the students to TVET colleges as the colleges would already have the infrastructure. The items created suspicion about how the project had been managed and what had been paid for. The Acting DG agreed to find and submit the invoices. Ms Mente-Nqweniso referred to item no 3 which was for laptops at R18 000 per student, for students who were studying plumbing. The total cost was R360 000. What was the number of students? The proposal was done with the purpose of getting more money and less value. Monitoring was irrelevant. That was one way how the Department had gone bankrupt. She wanted the invoices and a complete breakdown of the R2.8 billion expenditure. Where were the students? Had they been placed? Had the goals been achieved? Were the students containing leaks in South Africa? 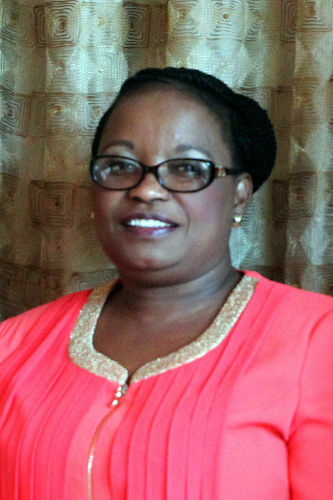 Ms Mohapi said that about five students had been placed and DWS was engaging with the Municipal Infrastructure Support Agent (MISA) to find jobs. 482 artisans had completed the programme as had 910 water agents. The water agents had been were doing advocacy and reporting on leaks found and visiting the municipalities. The Chairperson asked if they were trained at TVET colleges. Ms Mohapi agreed that they were trained but because the projects started halfway through the year, they could have been placed in venues to be trained. TVETs did not train water agents. The Chairperson asked how many students were to have trained as artisans and how many were to have trained to become water agents. Ms Mohapi stated that there had been no specific allocation. It would simply depend on the recruitment. The Chairperson knew that Ms Mente-Nqweniso was just starting but he asked her to start rounding off. He knew other Members had many more questions, as he had. Unfortunately, he was becoming concerned about the time and other Members also had to be given the opportunity to ask questions. Ms Mente-Nqweniso said that she would reserve some questions for her turn for in-depth questioning the following week. She asked how much the students received as a stipend and when the stipend ended. Ms Mohapi informed her that artisans received R2 500 per month and water agents received R2 000 per month. She said that the stipend ended when the contracted expired but the stipend was stopped for non-attendance in class or at the work experience. There was a high attrition rate and many students changed courses whilst on the programme. Ms Mente-Nqweniso asked when the 300 plus students would be placed. Ms Mohapi explained that DWS was working on an exit strategy. The Chairperson noted that the project had been conceptualised and implemented and only at the end did DWS consider the placement of students. Ms Mente-Nqweniso suggested that the money had not been spent in good faith. The officials had spent money just because they could spend the money. She then asked if the Umzimvubu Water project had yielded value for money. Had Ms Mohapi been to the site? Ms Mohapi informed Ms Mente-Nqweniso that the monitoring and evaluation functions had only been introduced in 2018 to do impact assessments and to review value for money. However, the Department had not yet been to the Umzimvubu Water project site. The Acting DG added that she had been to the Umzimvubu Water project often but not recently. She was part of the sod-turning ceremony. She was to have gone there that week but she had had to reschedule. She had been getting reports from Mr Balzer. Mr Balzer stated that construction of the Umzimvubu project had not yet started. The expenditure recorded was the cost incurred in the design stage and in planning. He was hoping that DWS would be able to start with the advance works in January 2019. Ms Mente-Nqweniso said that the amount given was just for planning. The timeframes were suspicious. The dam had been introduced without anyone looking at it and no one in the area was getting water. Kickbacks had happened but the dam was not built and R124 million had already been spent, of which R724 000 was an overspend of the original budget. She had expected him to say that the dam was not there. But there was nothing there. How had the money been spent? People there did not have water. They drank with pigs. Planning that cost that amount did not fly with her. The Chairperson suggested that the Committee ask for the payment breakdown. He wanted to see the contractual obligations that had been met and all the people and companies that had been paid. He wanted the names of all involved. Mr T Brauteseth (DA) warned DWS that next Tuesday he would be addressing irregular and wasteful expenditure so the officials had better get their ducks in a row. If they thought that night had been rough, they should wait until Tuesday. DWS had done a presentation on the impact of budget cuts on WoL on 30 June 2018. The Departmnent indicated that it owed the Energy and Water Sector Education and Training Authority (EWSETA) R 421 million and it had owed Rand Water Board R128 million. If it had not paid those amounts, 10 000 students would not have received their qualifications. He requested the Acting DG to answer as it was current. She was not to dodge. The Acting DG stated that it was not her intention to dodge but she had not got the question. Mr Brauteseth accused her of sitting back and expecting her colleagues to answer. So far, about R3 billion had been spent on the project and R640 million was outstanding. Had DWS paid and, if so, how much, and what was the knock-on effect on students? The Acting DG said that the SETA had been paid R400 million for services rendered in the previous year because there had been an undertaking by the previous Acting DG to pay. DWS had been paying Rand Water Board R30 million per month since June 2018. She had not got the rest of the question. Mr Brauteseth informed the Acting DG that the Committee required proof that the students had attained their qualifications. He wanted declarations from the SETA and the Rand Water Board with lists of the students. When he had been a Councillor in eThekwini, the city had leaking infrastructure so he knew it was a significant cost. In 2015, what was the amount envisaged in water losses owing to leaking infrastructure per annum? Mr Balzer replied that water loss due to leakages was estimated at R9 billion per annum. 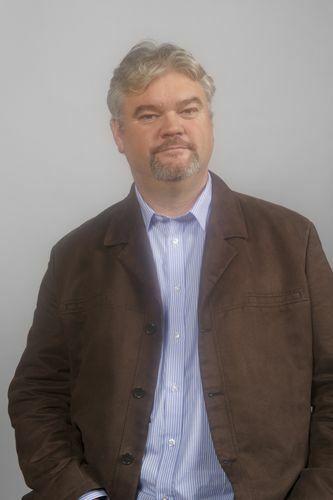 Mr Brauteseth wanted to know by how much it had been reduced as a result of the WoL project. Mr Balzer did not have a figure available for reduction of leaks but he remarked that the situation was getting worse. Mr Brauteseth told the Chairperson that that was his knock-out punch. DWS had spent R3 billion but the Department did not know if a single drop of water had been saved. DWS did not know how many students had come through the programme and were working. In his opinion, the Department was a complete and utter joke. They had started with a R9 billion loss per annum and had just added R3 billion to the loss. Deputy Minister Pam Tshwete stated that the figure was wrong. Only R7 billion was lost in leakages per annum. Mr Balzer should go and check. Mr Brauteseth explained that that was not the point. The point was how much had been saved. The Chairperson commented that DWS had started a project to address a problem and had spent R2.8 billion, but the situation was getting worse. He agreed with the Deputy Minister that those issues had to be tightened. But the point was billions was being lost so the Department had spent an extra R2.8 billion but had gained nothing from that expenditure. Ms Khunou said that she wanted to add to the list of documents required by the Committee. Members had a list of 10 projects but the Acting DG had told Ms Chiloane that there were actually 40 transactions. The Committee wanted a list of all the 40 projects. She wanted the WoL budget. In April and June 2015, R109 million had been spent. She wanted the budget breakdown of all projects from April 2015 to date. The artisans should be separated from water agents. DWS was undermining TVET. That was the problem when projects were thumb-sucked. Monitoring and evaluation was good but they had to do the work. She wanted to know about the R10 million required to hire venues. The Chairperson assured Ms Khunou that the Committee would be getting a breakdown of all expenditure. The Committee had the budget but with the expenditure, Members would be able to see how it had been spent. Ms Khunou asked about the Umzimvubu dam. R750 million had already been over-spent. The Chairperson pointed out that the total expenditure on all the dams thus far was R750 million. Ms Khunou asked when the dam would be completed. Who had been doing all the planning and who oversaw the projects? The Chairperson suggested that the question should be how the planning had been done before the new branch was implemented. The Acting DG explained that the Planning and Information Management Branch had always done the planning. They did not have a new branch. Monitoring had been added and the branch had now been changed to Planning, Information Management and Monitoring and Evaluation (PIMME). The Branch issued a record of implementation decision and then the process moved to the implementation branch and the PIMME picked up the monitoring of the project as it kicked in. Ms Khunou asked about consequence management. Was there any consequence management in the Department? There were lots of failed projects because of poor planning. She wanted to know if those who had been involved in planning in the Department and had ill-advised the Department, were still around. Their planning and advice had led to the current mess. They had failed. They had been paid to plan and advise DWS. They could not still be in the Department. Ms Khunou’s last point was related to the overdraft. The CFO had resigned but was still alive and he should be subpoenaed as he had to answer for the overdraft. She remarked that he was probably working in another government department. She wanted a date for when the CFO would be subpoenaed and come before SCOPA and explain why he had done the wrong things. It was critical to subpoena the former CFO. Mr Booi requested the organogram of the Department. He did not know who was in top management. The Department did not have any money. That was the reason for the Department appearing before SCOPA. The Auditor-General said that DWS had run out of money and National Treasury was resisting because they could not manage. Mr Booi asked for the details of the costs of outstanding projects. National Treasury would not help DWS because DWS was not sticking to its mandate. The Committee was dealing with criminals so it was difficult to get what the Committee wanted. The officials were ducking and diving and would not get money from National Treasury. So how were they going to pay for the projects and overdraft, etc. It was always difficult to get answers from criminals. The officials had not been honest with the Committee and yet they expected the Committee to approach National Treasury on their behalf. How could they lie? They were not helping their situation by ducking and diving. Who would give them money if National Treasury did not? They were undermining the National Development Plan. Mr Kekana informed the officials from DWS that the Committee would be dealing with leadership the following week. For consistency sake, he wanted the DG to bring all the people who been in acting positions to answer the questions. He asked about the Umzimvubu project. There had been a commitment that it was starting in January. Was it starting in January? Had the tender been finalised? What was being started in January? Mr Balzer stated that the advance works on the project would be done in-house as from January 2019 and tenders for some of the materials required would be advertised in January 2019. Mr Kekana wanted clarity. What was starting in January? Mr Balzer replied that in-house construction work would start in January. Tenders would go out for materials for some of the work. There was capacity in the Department to begin in January 2019. Mr Kekana asked if that meant that construction was not starting in January. Mr Balzer elaborated. Internal staff would move onto site in January to start work. Mr Kekana noted that January was in two weeks’ time. One could not count December as it was a wasted month. In his response, Mr Balzer was being clever by saying that they would be mobilising in January. Was construction starting? Yes or no? Mr Balzer stated that the Department wanted to start in January. In terms of planning, DWS was ready to move the construction workers onto the site in the middle of January. That was the plan. He was not trying to mislead the Committee but he could not say more as he was waiting for the response from the Minister. Advance works included the road to the dam, water supply and waste works to get the camp site ready for the construction workers. He was committing the Department to having workers on site by the end of January 2019. Mr Kekana suggested to the Chairperson that the Committee should conduct a site visit to Umzimvubu at the end of January. Ms Chiloane asked about the GLeWAP Phase Tzaneen dam. She understood that many unfunded projects had been done by Lepelle Northern Water Board. Why was that so? The Auditor General had found that Supply Chain Management processes had not been followed. The initial allocation for Tzaneen was R91 million. The scope had been expanded to R250 million. She noted that the directive had been signed by the Minister on 25 August after the project had started. The implementing agents had been appointed on 20 August. How had that happened? Ms Makhinthini stated that Tzaneen was part of the Giyani directive but she had been not there in the initial stages. Mr Squires Mahlangu could answer the question. Mr Mahlangu stated that he had been the Acting DG but he could not remember. He was struggling to remember. Mr Hlengwa told him that even though it was after midnight, there might be a perception that jokes could be substituted for seriousness. That went to the heart of what the Committee had been complaining about the whole night: the inability to get answers. He could not sit there in good faith. The way the DDG had responded was disrespectful. There was a total undermining of the Committee. He was showing disrespect for the Members. The Chairperson decided that the implementing agents would appear the following week. That should be taken by the Department as a warning shot. He needed details and he needed specifics. The Committee was not just asking for lists of names. They would be checking everything. Ms Khunou accepted the guidance of the Chairperson but the challenge was not getting any answers from the Department. Were her questions too difficult? She took a long time to get agitated but she was not getting any response to her questions. Ms Mente-Nqweniso warned the Department that she had two small areas. The Committee had only dealt with Umzimvubu but there many other projects. When the global figures were broken down, the boreholes in Giyani had cost R1.4 million per borehole. The Committee also had the SIU report. She had not been expecting that attitude from officials who had wasted the Department’s money. They had better be properly prepared for the following week. She asked Mr Balzer about the R124 million. Was that inclusive of material? If not, where was he going to get the money for the inhouse construction works? The Chairperson asked Mr Balzer to explain how the money had been spent. The details would be in the expenditure records that he had already promised to submit to the Committee. Mr Balzer responded that in the current year, DWS had R100 million set aside to start the project. Some of the fees were outstanding and that would require another R40 million in the new year. The Chairperson enquired how much the entire project would cost. Mr Balzer replied that the overall project, that was including the dam, the water treatment works, the distribution systems and advance works were estimated at R15.3 billion. DWS was engaging with National Treasury to forward the funds. The Chairperson asked why the Department was doing all that work when it was not sure whether it would be getting any money. He asked whether it was Chinese money, or whether it was from the fiscus. Mr Balzer replied that the funds would come from the fiscus. The Chairperson reminded Mr Balzer that the topic of the discussion was unplanned projects and overruns. But now there was a dam starting when they did not have money beyond the planning and start-up stage. DWS was spending money on plans and constructing roads and so on but the Department did not have money for the project. He found it hard to believe that the Department was again starting a project without money. Where would National Treasury get R15 billion? There was no money. The Chairperson informed the Minister that he would give him an opportunity to round up when the Committee Members were done. Mr Hlengwa noted that he should have zoomed into all the projects in terms of overruns but he could not because he was dragging out answers. He hoped that he had set a framework for the exercise. He asked the Chairperson to allow him to finalise his questions the following week. He requested the Department to provide the concept papers, the costs involved in each one separately, and not executive summaries of each of the listed projects, including the WoL. He also wanted a Mr A B Singh, whose name appeared against enquiries on some correspondence, to attend the meeting the following week. Even if the person was not in the Department, he or she was to be found and brought to Parliament as he or she had been cited as a person of enquiry. Mr Hlengwa was also concerned about how the strategy for placement had been developed. He wanted an update on concepts, strategies or concepts for the placement of students from the WoL programme. He also requested details of any project pending and the anticipation of the funding because the Department was bankrupt, and he required the bank statement for the Department. Mr Hlengwa hoped that she and her team should understand that a paper mill such as the Committee was requesting would not be a barrier to a proper engagement and that the Department should be ready to answer questions. The Committee was sitting with high level state personnel, such as DDGs: could a response be given at that level? Everyone should have responses at their fingertips. People who had a line function responsibility in any of the matters before the Committee had to be able to immediately give a proper response. Unfortunately, Mr Hlengwa had seen in that meeting how the Department had got where it was. There was no coordination in the Department. If there were coordination, there would not be the jostling to answer. He suggested that the officials might not be taking him seriously. He warned them that he would be unwavering in breaking down their resilience. His will in that regard was unwavering. If the officials did not appreciate the gravity of the situation, he was not surprised that DWS found itself in the situation that it did. Ms Chiloane agreed that the reason that municipalities could not pay for water was a real problem. There were leaks all over the country. Pipes were aging and the municipalities were not dealing with that so why did the Department not address the root causes. The bucket eradication scheme had been initiated in 2007 but to date the project was not complete. She wanted to see proper planning. She wanted to see the plan, budget and the set date for complete eradication of the bucket system. The Chairperson thanked the Department and he thanked National Treasury and AGSA for attending the meeting. The Chairperson said that it was a question of poor planning. Umzimvubu would cost R15.3 billion. Did the Department want to bring down the State by burdening it with debts? How could the Department be talking about starting a new project for R15 billion? Where was the money? He just did not get it. He needed to understand how the Department could, at that stage, be planning to build a dam. The situation reminded him of the mental hospital in Kimberley where there had been no budget and it had taken ten years to complete the project. The Chairperson needed to understand the role of Ministers and the management of the Department. Were the officials telling people lies that they would get a dam? That project showed exactly what the Committee was dealing with. He had no words to express his outrage. He wanted the project cancelled, at Cabinet level if necessary and he wanted a ministerial directive to that effect. The Chairperson could hardly believe that administrators generated a memorandum and then the Minister just signed the attached directive. Did the Minister check anything? What level of due diligence was exercised when the officials brought something for the Minister to sign? The Minister had to do the final check. He added that the name of the DG was not on the memo requesting the directive, which was why Mr Hlengwa had asked for the person whose name appeared as the contact person for enquiries. The Chairperson told the Acting DG that the following week, the Committee wanted the CEO or leadership of the implementing agents at the meeting, especially the serial implementing agent, Lepelle Northern Water Board. It had even featured in the SIU report. The Chairperson asked if the person who dealt with the implementing agents was in the meeting but he was not. He suggested that the person should be well-prepared when attending the SCOPA meeting so that he would be able to drill down into detail when the Committee Members asked for detail. The Chairperson hoped that officials would appreciate the level of engagement expected from them the following week. The Committee would deal with irregular and wasteful expenditure, deviations and expansions on the Tuesday. He did not want the officials to say that they did not know. He expected them to be able to answer questions in detail. The Members would be reading the file on their Department, in addition to other files in preparation for the following week and so he expected officials to read their own file and to have answers on their fingertips. The Committee wanted DWS, National Treasury, PIC and the implementing agent in the meeting. The Chairperson thanked the Department and said that the officials should feel welcome to ask questions if they did not know something. The Minister was invited to comment. 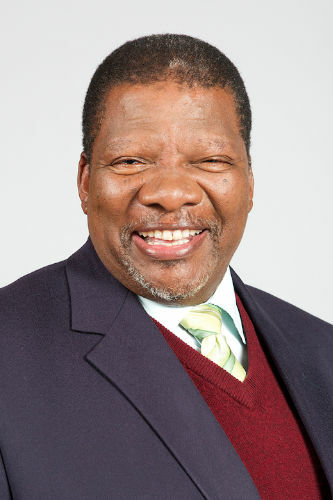 Minister Gugile Nkwinti assured the Committee that he understood the frustration of the Members. They could imagine what he was going through. He had asked the Acting DG for oversight reports from Parliament and the state but the DG could not give him anything, and he had not received any to date. He had asked for the reports as he had been looking at the waste of money and wondered how it could have been allowed to continue for so many years. The Minister stated that people were poor. The state did not have the luxury of wasting money. Building dams was the responsibility of the Department of Water and Sanitation but the Department sent an instruction to the Water Board, which contracted implementing agents, who contracted contractors, who contracted sub-contractors. That was how money was wasted and how the Department had got to the nearly R4 billion. He was encouraged by the meeting with SCOPA. The Department would not have been where it was, if oversight bodies had approached the Department in that way before. Secondly, he had been observing the service delivery model in respect of water and sanitation. It was not very effective. Bulk supply was the responsibility of DWS; sanitation was the responsibility of municipalities but it just did not happen as they did not have capacity. DWS had to provide the reticulation and sanitation. Facilities had been planned and created for 30% of the population but now that SA had opened up, there was a need to expand the system. When he went home, he drove over sewerage in the streets because the people were getting flushing toilets but the system could not cope. The plan had been to put down pipes for waste and sewerage. The Minister stated that water was a constitutional right. The state had to provide water. The Umzimvubu dam had been planned in 1962 but Kaiser Mathanzima had taken the dam to Umtata. The Minister had been struggling to get the dam built. The people were saying that the democratic government was just as bad and would not give them water. The Committee had to understand the suffering of Pondoland, an area which had supported the mines of South Africa by sending their men to work there. What was there to show for their dedication to the country? The Minister had been happy when he had seen a budget of R100 million to start the Umzimvubu project. A proper plan had been done by DWS and not outsourced to someone else. DWS had a construction unit created during apartheid to construct dame and employed 2 936 people. They were sitting there doing nothing, including the Engineering unit. DWS had a plant in the Northern Cape for pipe building but nothing was made there. The Department had wasted billions of Rand by outsourcing. DWS had a construction unit that was currently working on the Clanwilliam Dam and costs had been cut by 50%. Those people were excited to be contributing to the Department. So the Minister was determined to build the dam in Pondoland. He had met with the Chinese but they had been unable to agree on terms and the Chinese had wanted to bring their own construction company. When the DG had gone back to China, he had indicated that the advance work would be done by South African workers from DMW’s own unit: Construction South. Trevor Balzer had been to the dam site. The Department would use in-house staff and where it did not have capacity, it would go to the market. At some point, the Department had taken a decision to build two dams on the same river in Tsolo and that had created a conflict. The Umzimvubu Dam would supply the Joe Gqabi, Alfred Nzo and OR Tambo districts. The people could not be disappointed again. The Minister explained that included in the cost of the dam was a reticulation system of R7.6 billion because the three districts were so big. Road construction was budgeted at R134 million and would take nine months to complete. It had been planned by departmental engineers. He promised to give the Committee the plans for Umzimvubu the following week. But the dam had to be built. He understood that the Committee was shocked at what had been going on in the Department and how money had been wasted. He added that three DDG’s were subject to disciplinary proceedings and so there was not a full team sitting before the Committee. As much as he, as Minister, had tried to build the confidence and team spirit of the Department, it was not easy. He had even designed the top structure of the Department. The branch for planning, monitoring and evaluation was new. The DG had said that it was not new, but it was. The old planning branch had done nothing for the Department. So, he was pleased that Mr Hlengwa had asked for the organogram. That organogram would help re-build the Department. He also appreciated the challenging, probing questions. It would help. The Department needed to interrogate what had happened. As a parliamentarian, the Minister stood with the Committee. He thanked them. The Chairperson thanked the Minister saying that he had put a different perspective on the dam and had articulated the political necessity of the dam. That was fine but the Committee had to address the administrative challenges. The Department just did not seem to understand the seriousness of the situation. He also wanted to see the dam built so the Department could go with it and build the dam but SCOPA needed to make sure that the financial management of the project was prudent and that the wastage was cut out. The Chairperson thanked everyone for their attendance at the meeting.